1. 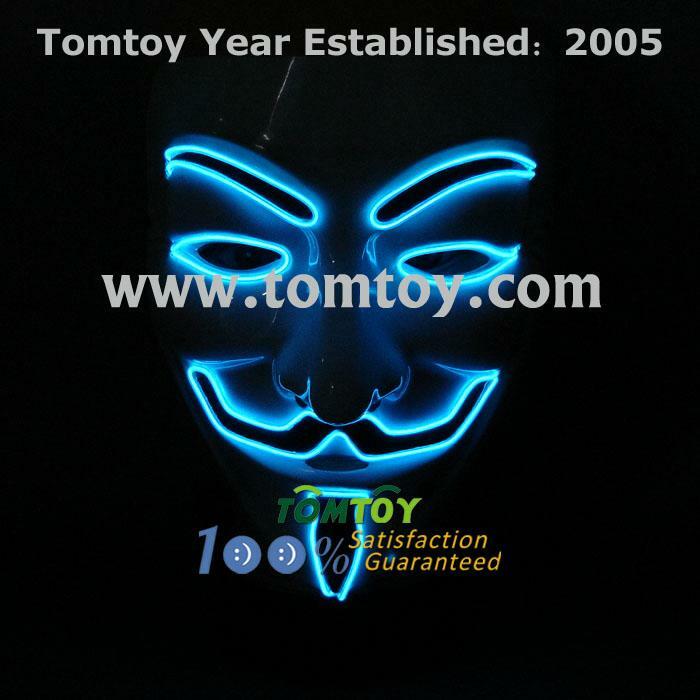 The cosplay mask is not only a normal mask,but also it is can be luminous EL mask for V for Vendetta. 2. This EL mask is big enough to fit everyone face perfectly and with Press on Off switch. When you Press on.The mask will shin like the images.Cool. 3. Battery pack can Put anywhere from the waist and up, it can easily be put to your belt or placed in your pants pocket. 4. The mask is made of plastic and has a decent finish with colorful shine.It is awesome for party.